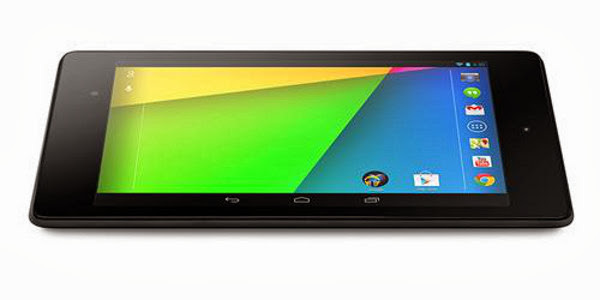 If you’re looking for a cheap, small, performance tablet, look no further than the Nexus 7. This is a step up from the 2012 model. Thinner and lighter than last year’s model, the new Nexus 7 features a swift 1.5GHz Qualcomm Snapdragon S4 Pro processor and 2 GB of RAM (found in the Nexus 4 smart phone) . Despite it’s low cost, this is still a performance tablet. If you want your tablet for media viewing, then the dual stereo speakers produce great sound for such a small device. It weighs only 0.64 lbs (290 g) and battery life is excellent, but that’s not the best thing about it. The Nexus 7 has the highest pixel density of any tablet, the 323ppi IPS display beating the iPad with Retina Display. Anybody who’s been hands-on with it has loved the screen. With excellent viewing angles, the screen is a delight to use from e-books to streaming video. Amazon better watch out for the Kindle. Built by Asus, the 2012 small-format 7-inch tablet took market share from e-readers as well as from full-size 10-inch) tablets, frightening Apple to respond with its 7.9-inch iPad Mini. The current Nexus range contains three models: the 16GB with Wi-Fi, 32GB with Wi-Fi and 32GB with Wi-Fi with LTE mobile broadband (LTE not available everywhere) . The lack of external Micro-SD expansion does limit the storage, however. As a Nexus device, it will always have the latest version of Android, the 2013 model delivered with the latest 4.3 incarnation of Android which has the ability to set up multiple user profiles and control access to individual apps – useful for a shared device at home or for dual use at work. The new Nexus 7 is slightly taller, narrower and thinner, the plain black finish making it a stylish device, although it is a closed chassis. So you can’t access the 3,950mAh battery and it has a lower capacity than the previous model, but, with between eight and nine hours runtime, this is still very usable. Where the original Nexus 7 had a front-facing 1.2 megapixel camera but no rear camera, this model has with a 5-megapixel rear camera but the same the 1.2-megapixel unit on the front. Photo quality can be described as average, and the main camera has no flash. Audio quality is much better than the original Nexus 7: twin speakers top and bottom at the back of the chassis, with speaker grilles that run around the edges. Even with the device flat on a desk the sound isn’t muffled. The combination of Google and Asus has made the 2013 Nexus 7 a sleeker, lighter and fasterwith a brilliant 323ppi screen, decent battery life, better audio and optional LTE mobile broadband. Sadly there’s still no Micro-SD expansion for storage, butthe spec and the competitive price makes for excellent value for money. yeah. it is a wonderful website. this is very nice one and gives in depth information. i think it will be helpful. This is the best Android tablet you can buy at any price. When you factor in the low price, it’s probably the best tablet for the money you’ll find as well. If you can live in the cloud, and Google Play has enough of the content you’re looking for, go buy one.